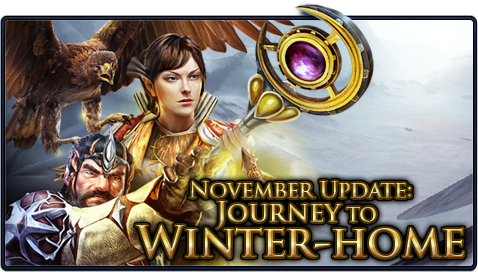 You can now go home again with the Lord of the Rings Online November update “Journey To Winter-Home”. This content update that’s live right now includes more free content allowing you to play the epic storyline in Moria, Lothlorien, and Mirkwood all the way to level 65. Updates have come to the Loremaster and Rune-Keeper classes as well as the starter area for Dwarves and Elves. Check after the break for full details on the November update. The November Update brings in the holidays with a wide range of improvements, additions and a completely new Yule Festival set in Winter-home. Players get access to more quests, content and adventure than ever before. 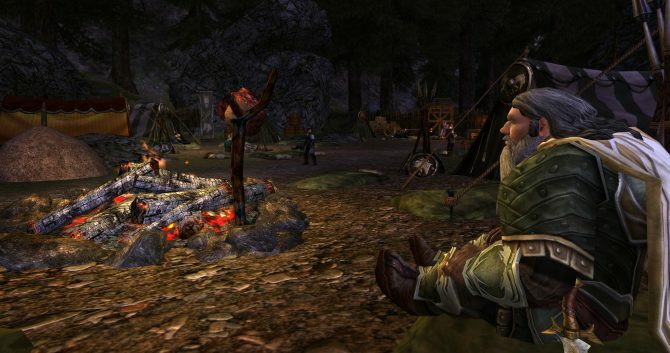 As part of our continued mission to make The Lord of the Rings Online™ the best Free to Play game in the world, we’ve now made all epic storyline quests in the game free allowing players to level all the way to 65! This grants all players access to all the epic storyline quests in Moria, Lothlórien and Mirkwood. All players can now delve into the depths of Moria, visit Galadriel in the Golden Wood and lay siege to the fortress of Dol Guldur. The Rune-keeper and Lore-master Classes have been improved with new skills, improved traits and upgrades to the Lore-master pet appearance and abilities. New Skills such as Staff Sweep, Frost Lore and Combat Summoning give you better control over combat. Increase your pet’s threat & change its appearance for a more customized experience. Wield updated skills such as Sign of Power for Crowd Control. New Trait improvements such as Essence of Storm, Essay of Flame, and Master of Writs gives you more power than ever before. Heal and do damage with greater efficiency. The Elf and Dwarf starting areas have been updated, throwing you into the conflict between the proud Longbeards and the greedy Dourhands as they determine the fate of Thorin’s Halls. The corrupt and destructive influence of the Dourhands can be seen all around as you struggle to uncover the dark power influencing Gormr Doursmith, and ultimately challenge the might of a dead king! You’ve spoken and we’ve heard you! 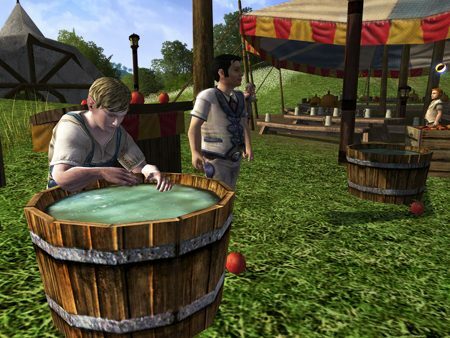 We’ve significantly updated the Crafting System as well as the Vault UI to make LOTRO even more user friendly! Less seeds, more inventory slots: Most farming field recipes now require generic crop, flower, and pipe-weed seeds. Less seed variety means more inventory space for everyone. Reduced required ingredients: Farm field recipes no longer require 5 or more seeds: now only one seed is needed to execute a field recipe. Updated UI: Now see more recipes in the cleaner and expanded crafting panels! Plus new ingredient packs an crafting accelerators! Smart Sorting: We are adding a “Smart Sort” feature that uses game data to better sort items by type and level rather than purely alphabetically. Similarly, crafting materials will be sorted by Tier, then by Profession. Icon-Only View: One of the biggest complaints with the new vault is that there is no way to see all the items on the screen at once. For this update we are adding the ability to turn off the text on the items in the vault. Easy-Filter: This option will make the selected filter change to the selected item type so you can easily find all similar items regardless of which chest they are in. Coming in December, keep an eye out for the new and improved Yule festival set in the Winter-home. More details will be available soon so check back often!